The 2011 Pupillage Portal timetable has been released. Students can now begin to upload their data and to submit their applications to their chosen sets of chambers. To all existing and new users: Welcome to the new site. As with the ever adapting Legal system, legalgirl is also moving with the times. The new website still contains many of it's original features, however new features include a 'rolling' front news page which allows users to easily see all the latest information loaded onto the site, but the one I am most excited about is the new 'Users Blog’ section(located in the top, right hand corner). The Bar Council along with the four Inns of Court, has today launched a new careers website to provide a range of accessible information to school and university students. 'Become a barrister’ (www.become-a-barrister.com) is a new portal for anyone interested in a career at the Bar and includes a series of films and case studies aimed at 'demystifying' entry to the profession. The Citizenship Foundation, in partnership with the Bar Council,the Faculty of Advocates in Scotland and the Bar Council of Northern Ireland, is gearing up for the 20th annual final of the Bar National Mock Trial Competition. The competition will be held in the Royal Courts of Justice in Belfast on Saturday 12 March 2011 and provides a unique opportunity for state school students aged between 15 and 18 to gain practical experience of the workings of the legal system. The Bar Council have announced the formation of the ‘London 2012 Pro Bono Legal Advice and Representation Service’. The Service was requested by the London Organising Committee of the Olympic Games and Paralympic Games. It will provide free legal advice and representation for athletes, coaches, team officials, National Olympic Committees, National Paralympic Committees and International Federations participating in the London 2012 Olympic and Paralympic Games. 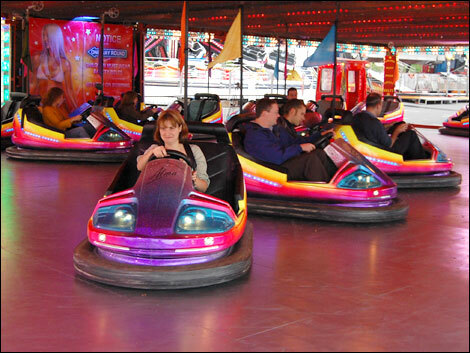 DID you hear about the bloke who was sacked from the dodgems? The Bar Standard Board has announced an increase in the minimum funding for pupil barristers. The new minimum wage for pupils will be set at £12,000 as of September 2011 - up from the current £10,000. Other BSB plans include the Bar Vocational Course being replaced by the Bar Professional Training Course this autumn. A leading barrister has criticised Tory plans to change the law on the level of force householders can use against intruders. The Tory party want to change the original rule that allows the use of 'reasonable force' in self defence and change it to only prosecuting those who use 'grossly disproportionate violence' against intruders. A debate between the Shadow Home Secretary Chris Grayling and Michael Wolkind QC,on these proposals, can be viewed here.